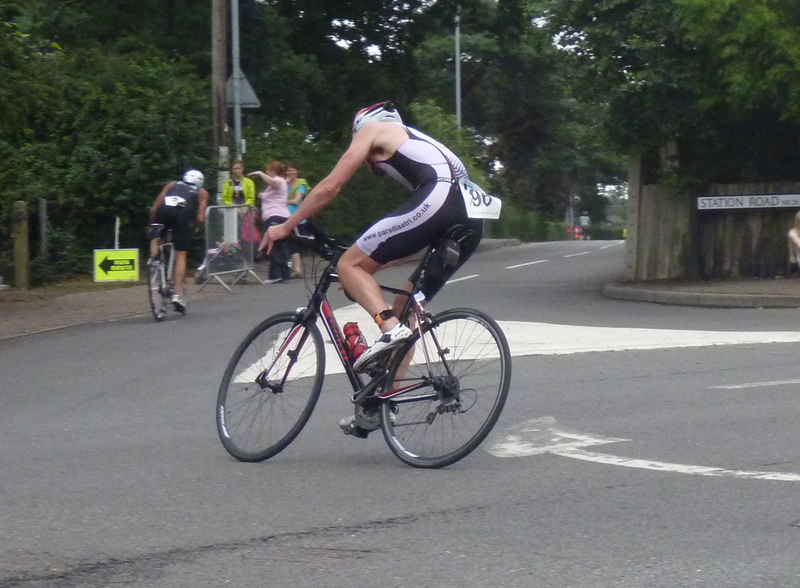 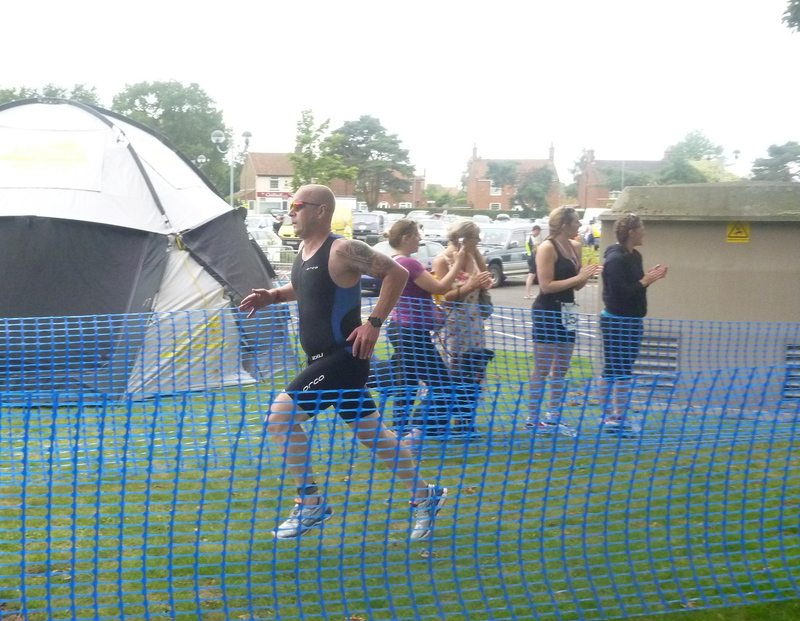 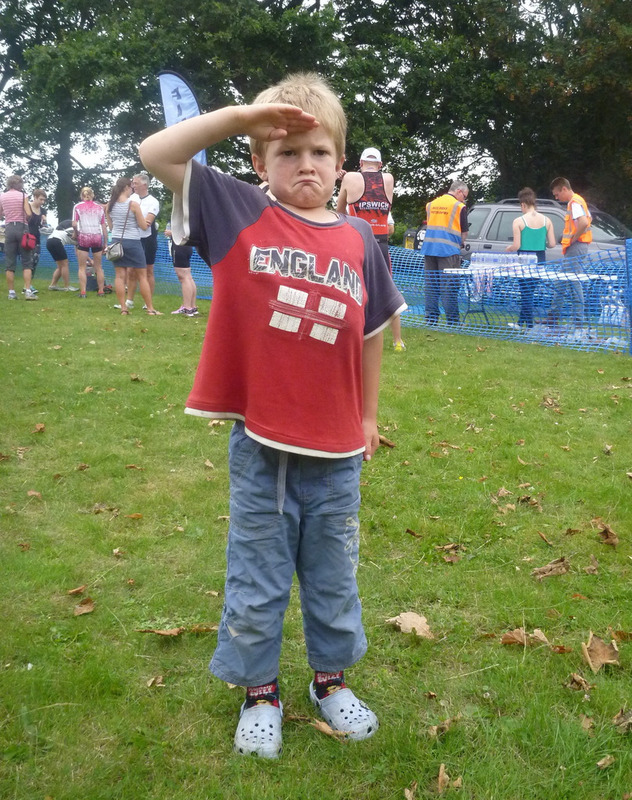 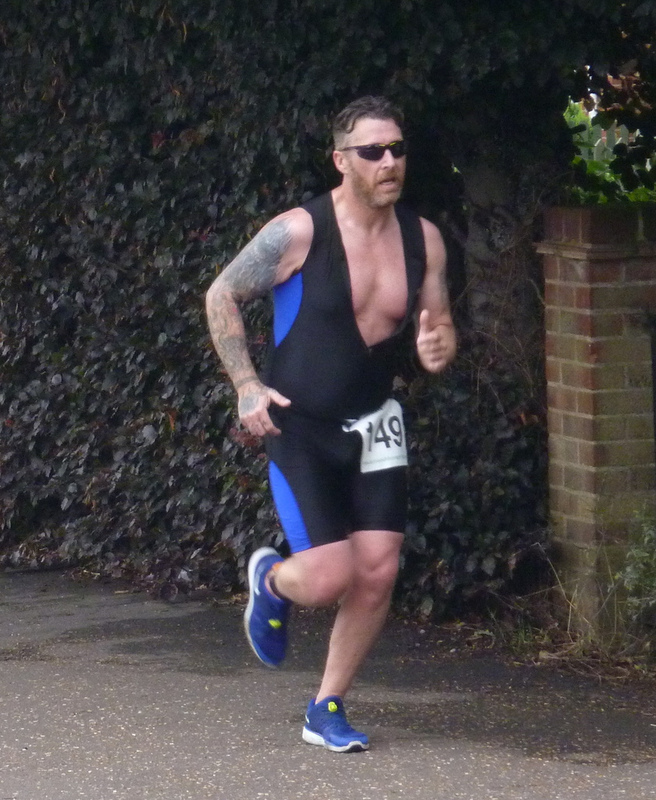 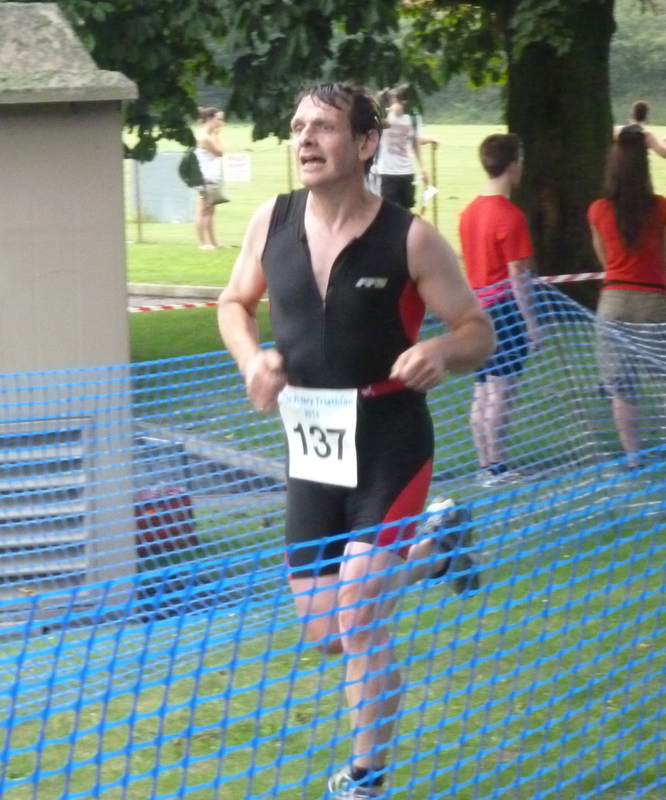 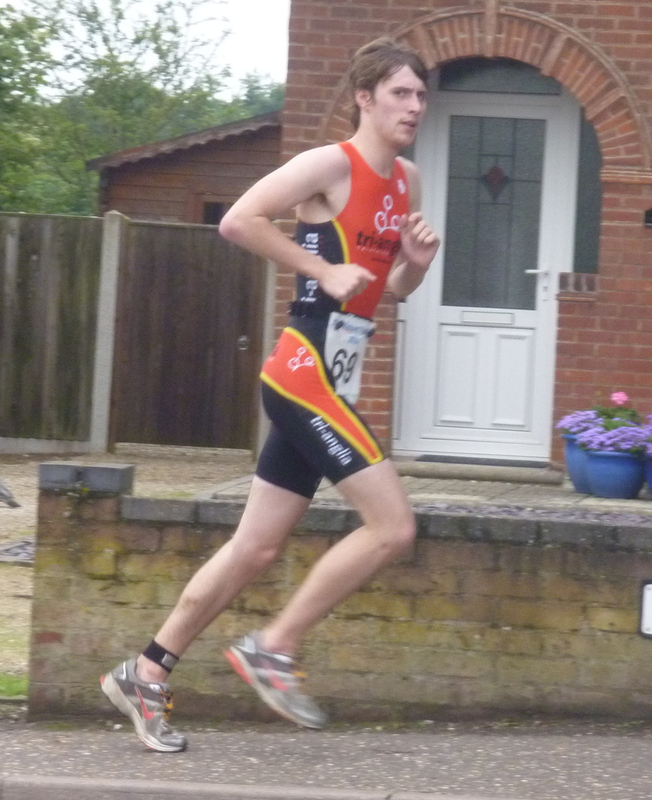 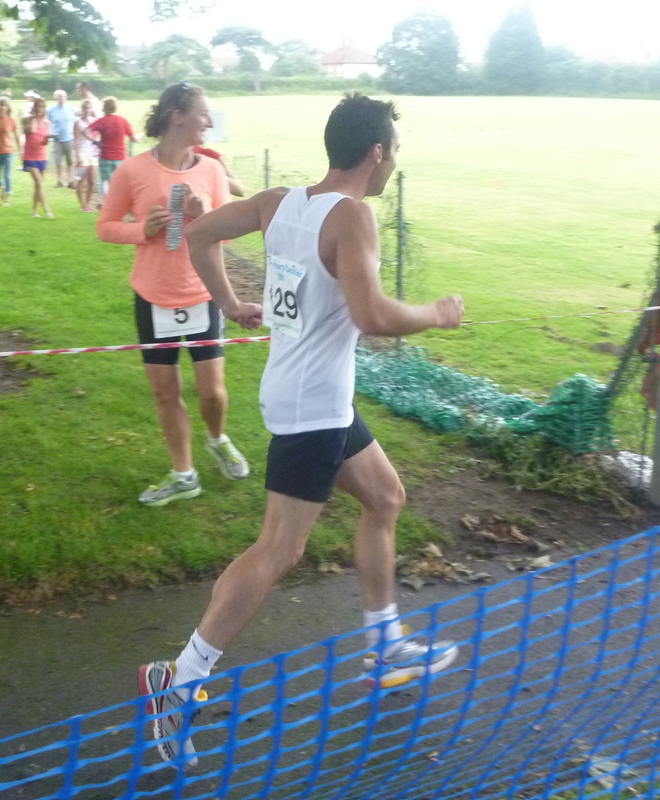 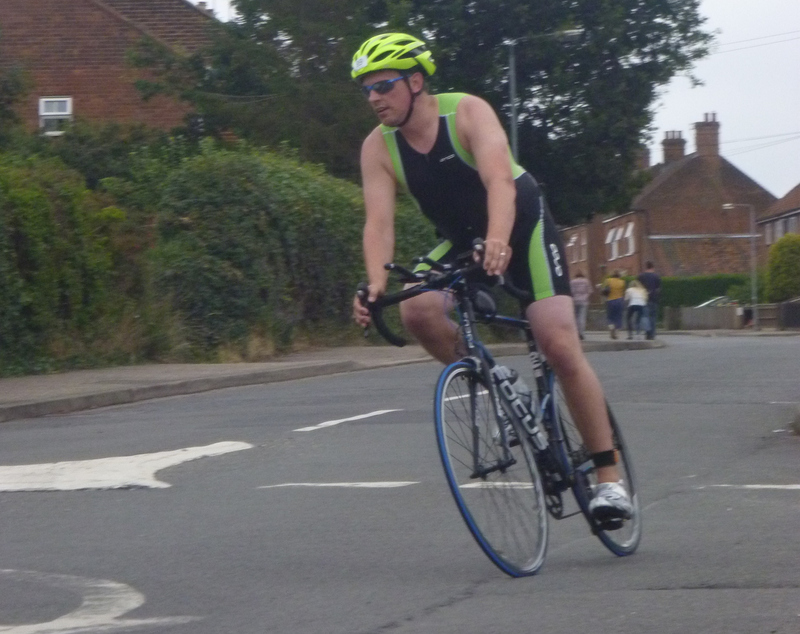 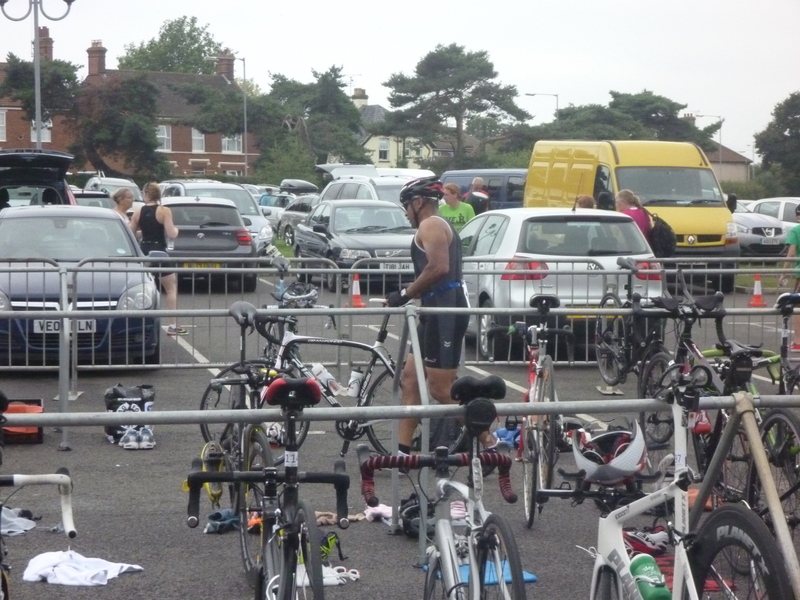 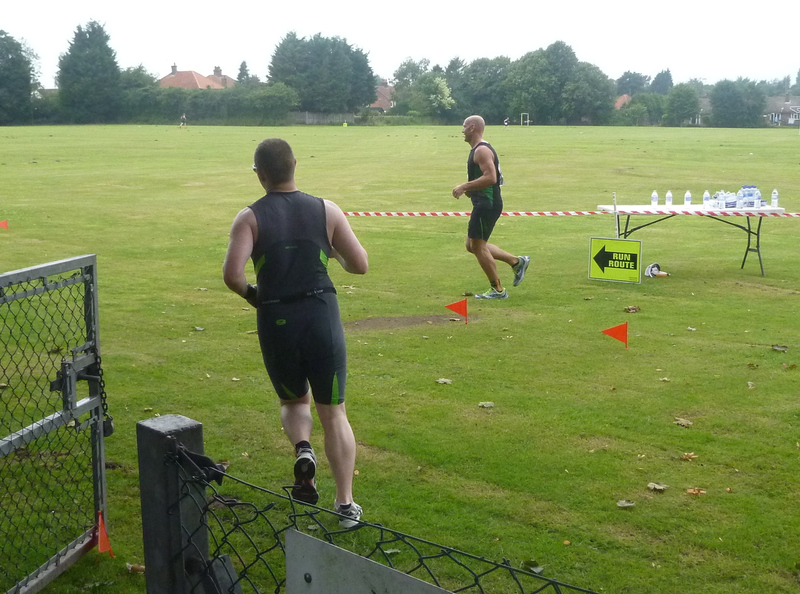 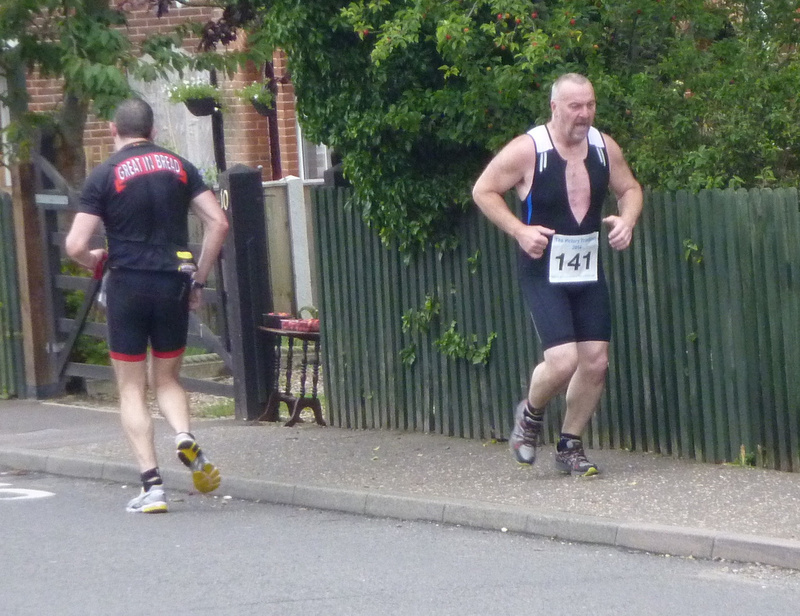 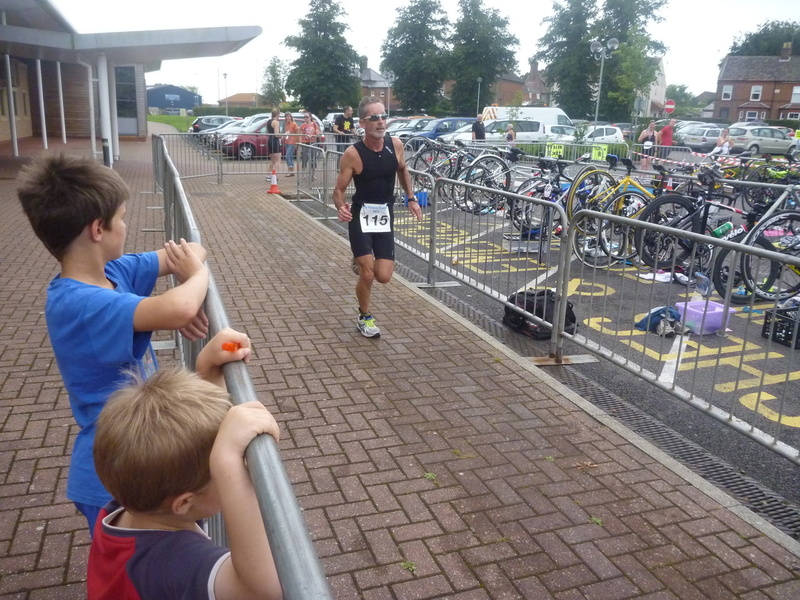 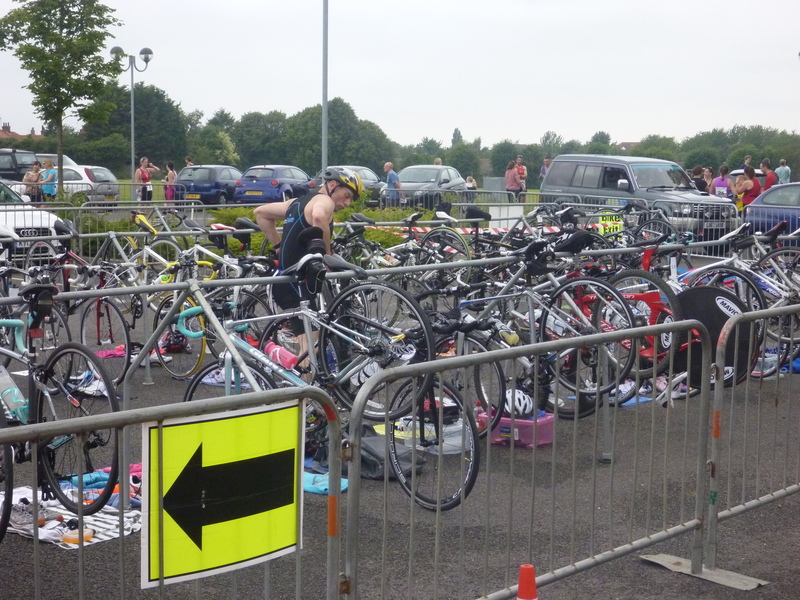 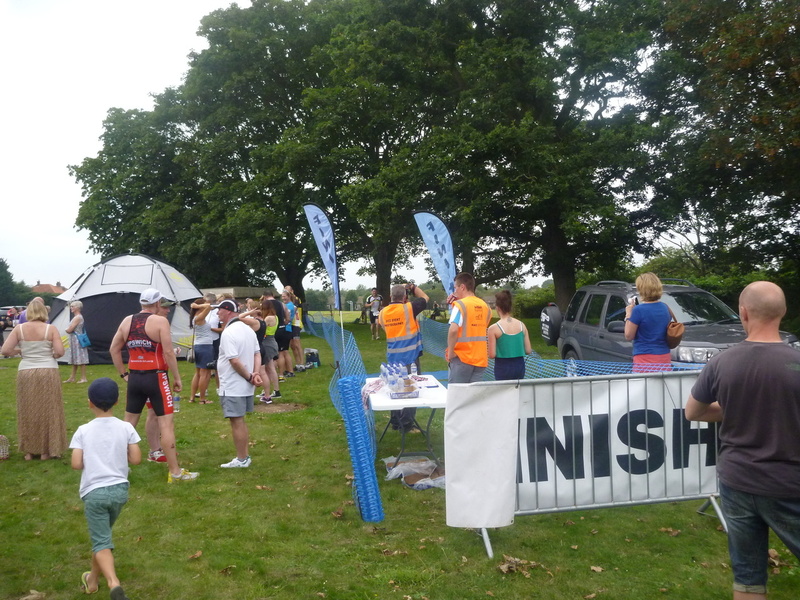 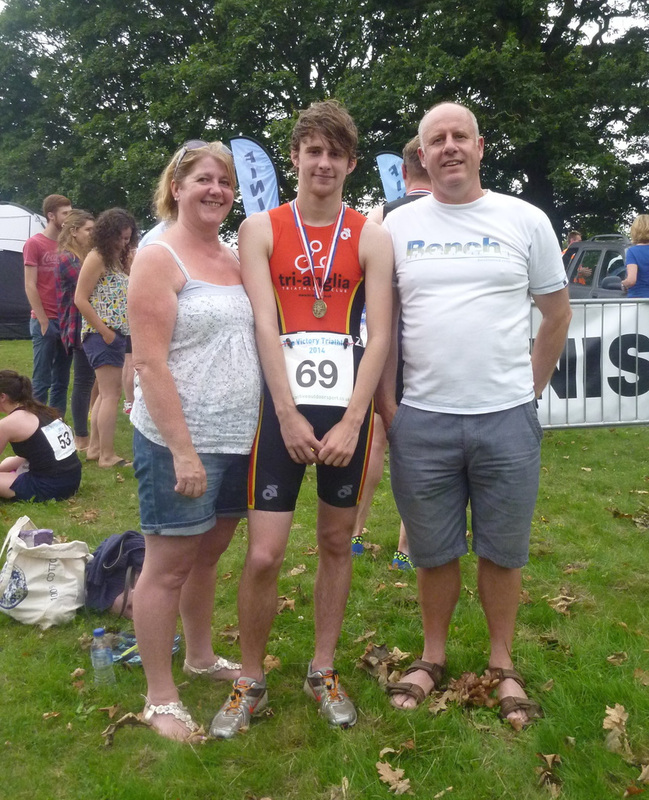 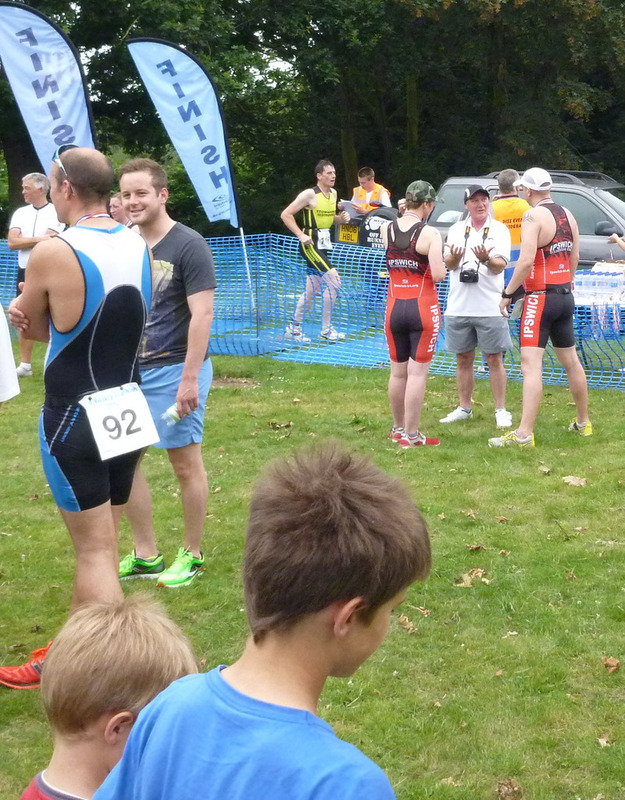 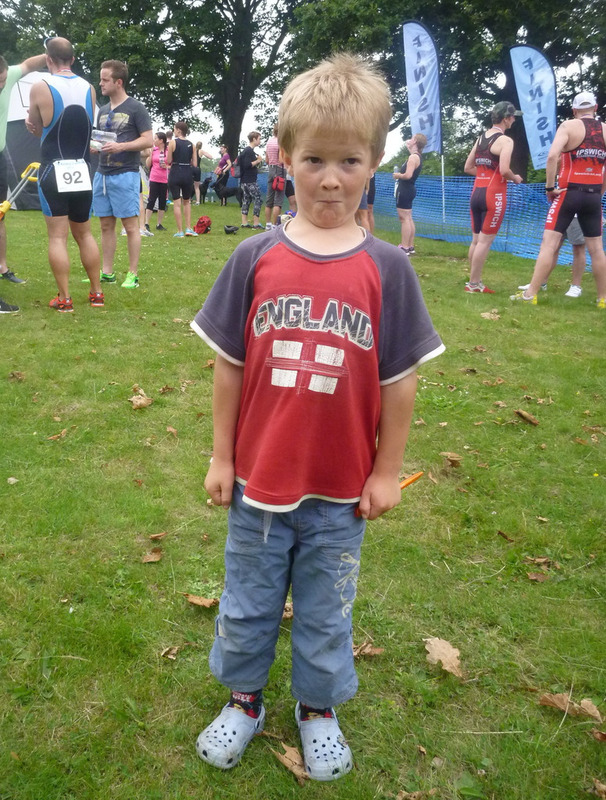 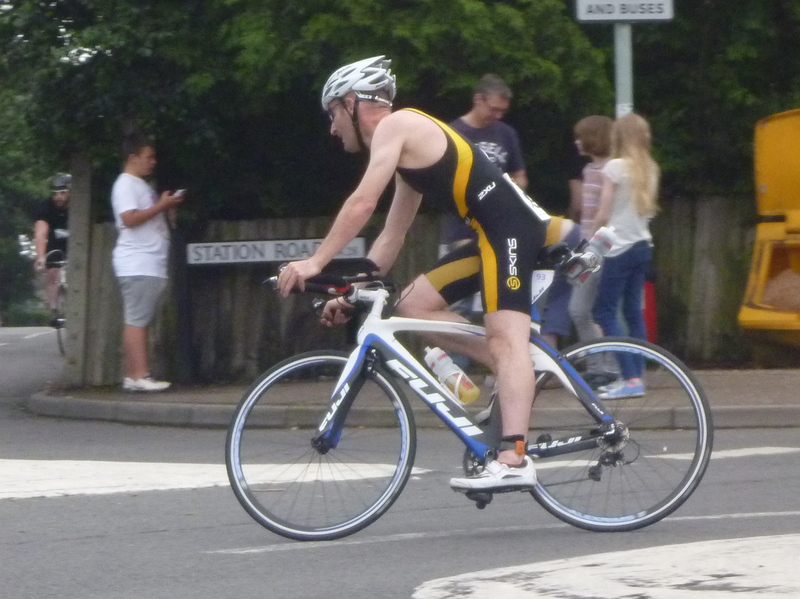 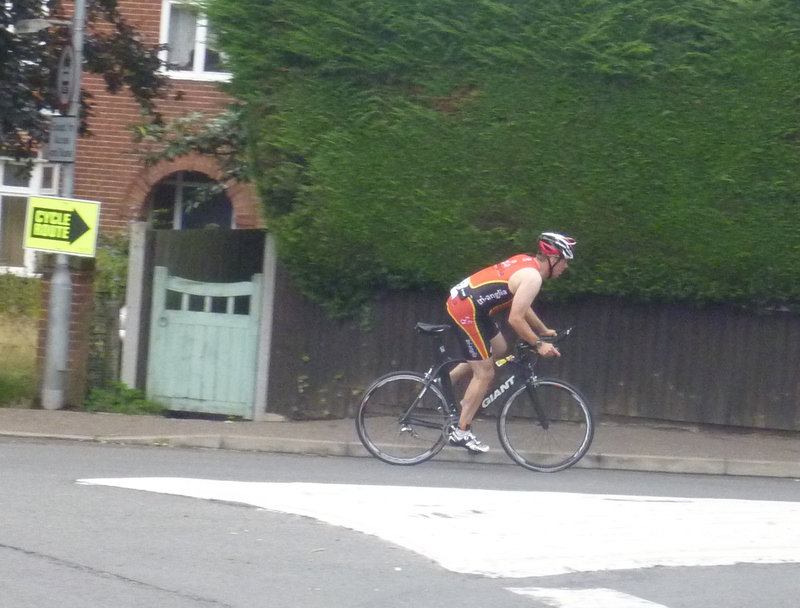 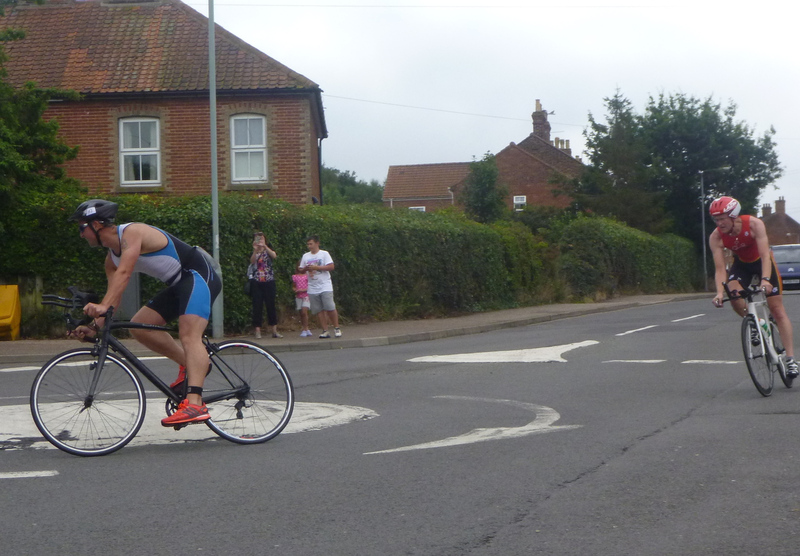 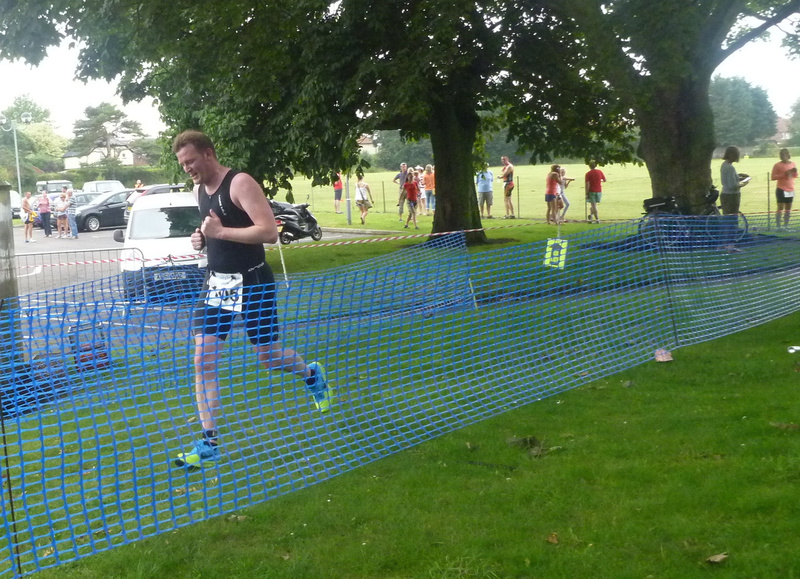 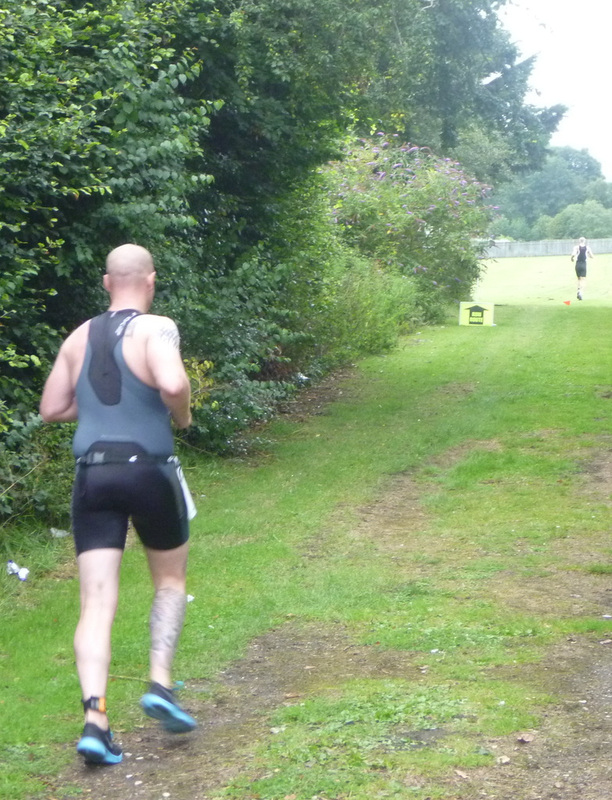 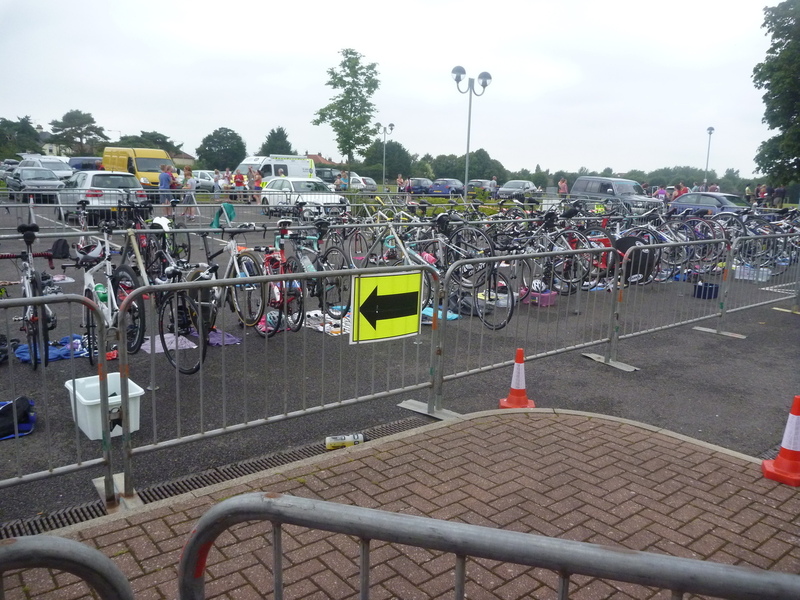 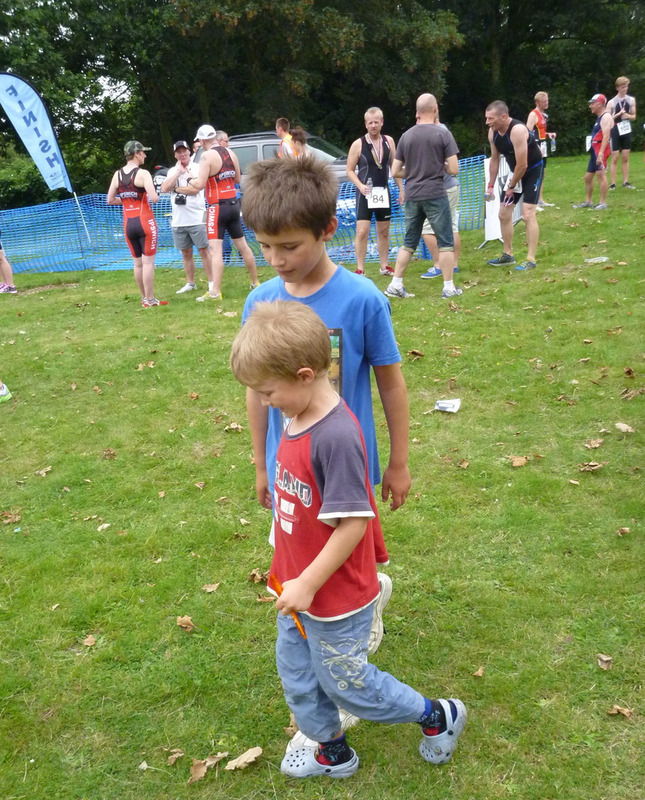 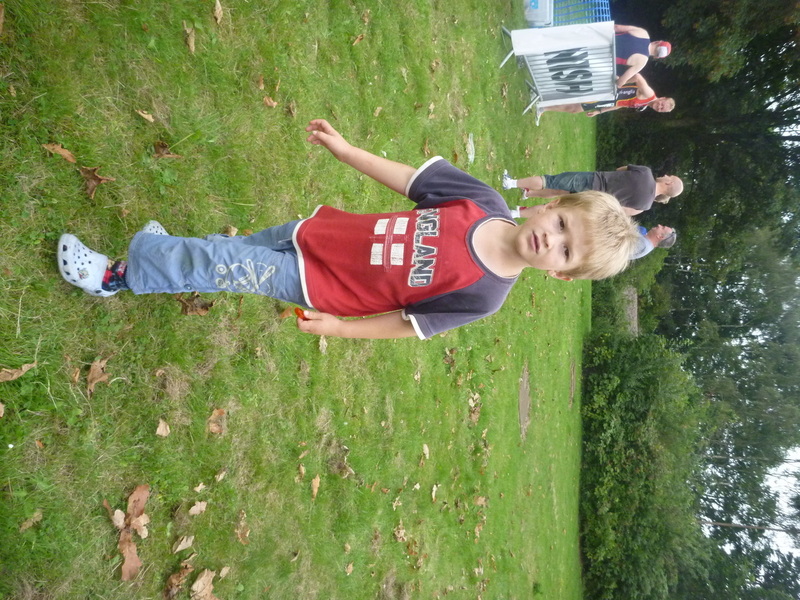 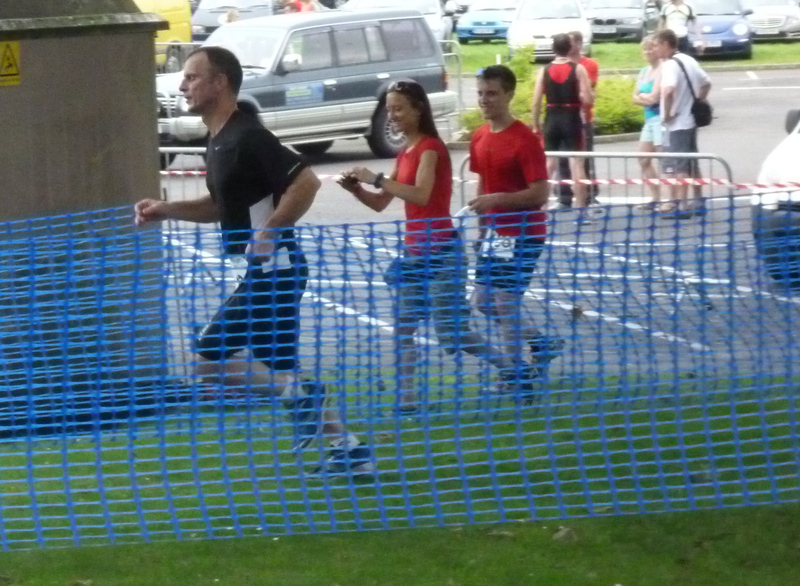 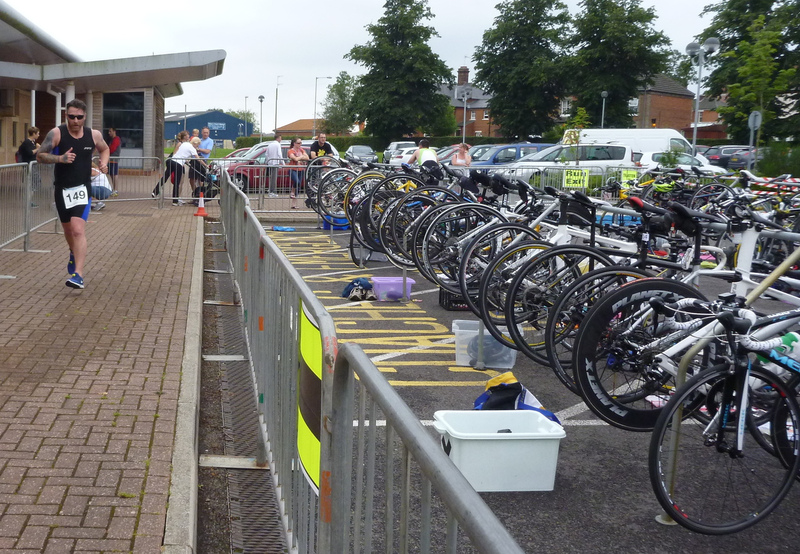 There were over 100 competitors in the annual North Walsham triathlon event. 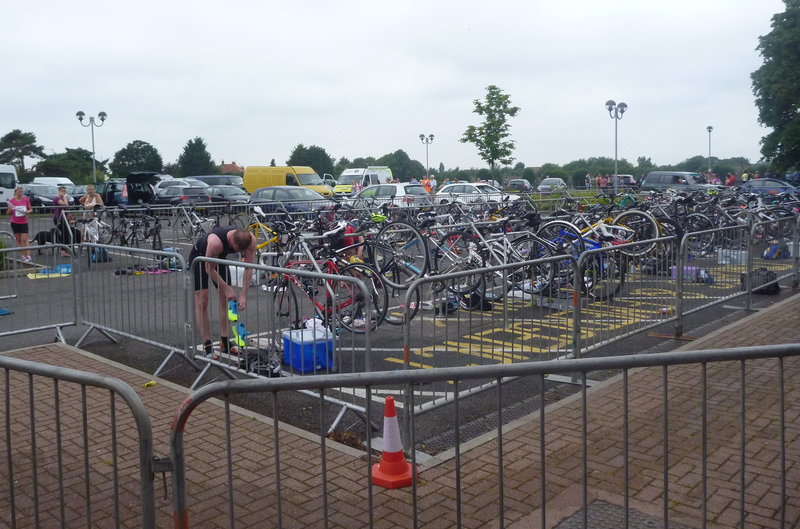 The 25-metre pool at the Victory Leisure Centre was used for the first 400m leg, followed by a 10-mile cycle on rolling roads and a finishing run on a mixture of roads and grass. 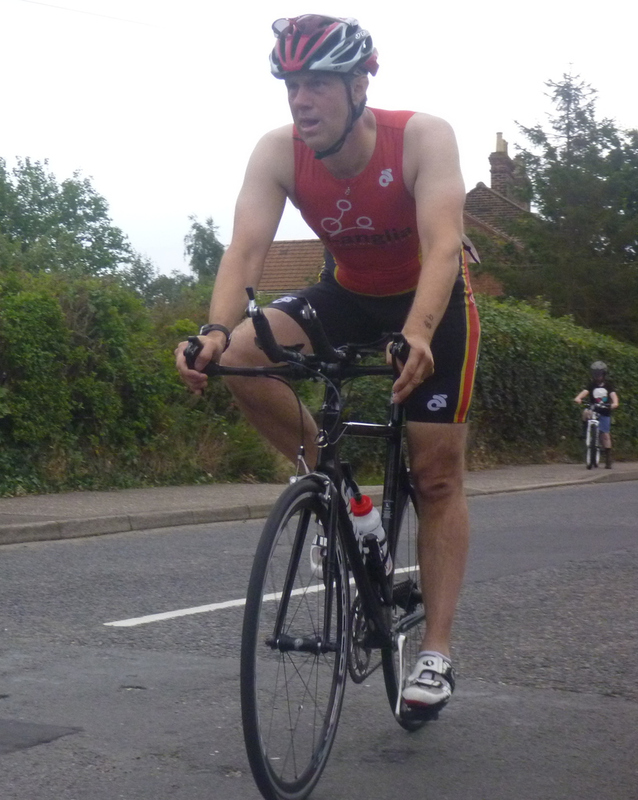 Weather conditions were 'heavy' - very humid, overcast and quite warm. 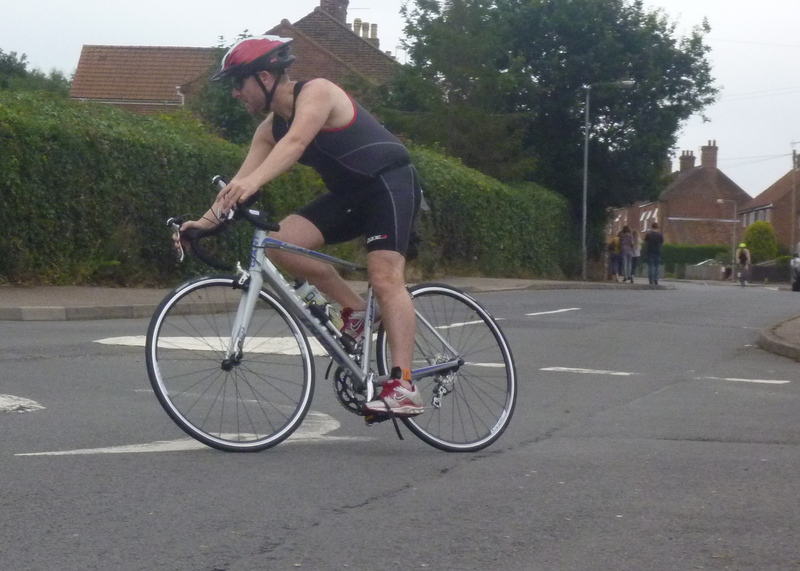 The roads were also damp in places due to heavy overnight rain.